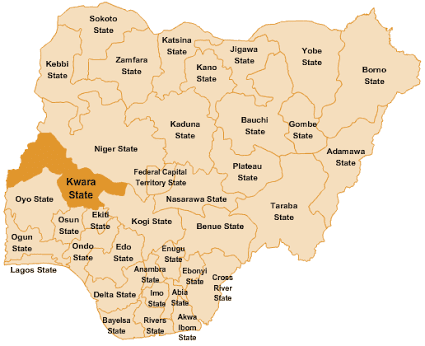 The Economic Confidential has released its Annual States Viability Index (ASVI) which shows that Kwara state is among Nigeria viable state while other 17 states are insolvent as their Internally Generated Revenues (IGR) in 2017 were far below 10 per cent of their receipts from the Federation Account Allocations (FAA) in the same year. The index proved that without the monthly disbursement from the Federation Account Allocation Committee (FAAC), many states remain unviable, and cannot survive without the federally collected revenue, mostly from the oil sector. The IGR are generated by states through Pay-As-You-Earn Tax (PAYE), Direct Assessment, Road Taxes, and revenues from Ministries, Departments and Agencies (MDA)s.
The report by this economic intelligence magazine further indicates that the IGR of Lagos State of N333 billionn is higher than that of 30 States put together whose internal revenues are extremely low and poor compared to their allocations from the Federation Account. The states with impressive over 30 per cent IGR apart from Lagos are Ogun, Rivers, Edo, Kwara, Enugu and Kano states who generated N607 billion in total, while the remaining states merely generated a total of N327 billion in 2017. Recently the magazine published the total allocations received by each state in Nigeria from the Federation Account Allocation (FAA) between January to December 2017. The latest report on IGR reveals that only Lagos and Ogun States generated more revenue than their allocations from the Federation Account by 165 per cent and 107 per cent respectively and no any other state has up to 100 per cent of IGR to the federal largesse. The IGR of the 36 states of the federation totalled N931bn in 2017 as compared to N801.95 billion in 2016, an increase of N130 billion. From the report, the states with less than 10 per cent IGR have jumped to 17 from 14 states in the previous year 2016. The poor states may not stay afloat outside the Federation Account Allocation due to socio-political crises including insurgency, militancy, armed-banditry and herdsmen attacks. Other states lack foresight in revenue generation drive coupled with arm-chair governance. The states that may not survive without the Federation Account due to poor internal revenue generation are Bauchi which realised a meagre N4.3 billion compared to a total of N85 billion it received from the Federation Account Allocation (FAA) in 2017 representing about 5 per cent; Yobe with IGR of N3.59 billion compared to FAA of N67 billion representing 5.33 per cent; Borno N4.9 billion compared to FAA of N92 billion representing 5.41 per cent; Kebbi with IGR of N4.39 billion compared to N76 billion of FAA representing 5.77 per cent and Katsina with IGR of N6 billion compared to N103 billion of FAA representing 5.8 per cent within the period under review. Other poor internal revenue earners are Niger which generated N6.5 billion compared to FAA of N87 billion representing 7.43 per cent; Jigawa N6.6 billion compared to FAA of N85 billion representing 7.75 per cent; Imo N6.8 billion compared to FAA of N85 billion representing 8.1 per cent and Akwa Ibom N15 billion compared to FAA of N197 billion representing 8.06 per cent, Ekiti N4.9 billion compared to FAA of N59 billion representing 8.38 per cent; Osun N6.4 billion compared to FAA of N76 billion representing 8.45 per cent, Adamawa N6.2 billion compared to FAA of N72.9 billion representing 8.49 per cent; Taraba N5.7 billion compared to FAA of N66 billion representing 8.70 per cent and Ebonyi N5.1 billion compared to FAA of N57.8 billion representing 8 per cent. Meanwhile, Lagos State remained steadfast in its number one position in IGR with a total revenue generation of N333 billion compared to FAA of N201 billion which translate to 165 per cent in the twelve months of 2017. It is followed by Ogun State which generated IGR of N74.83 billion compared to FAA of N69 billion representing 107 per cent. Others with impressive IGR include Rivers with N89 billion compared to FAA of N178 billion representing 50 per cent; Edo with IGR of N25billion compared to FAA of N75 billion representing 33 per cent. Kwara State however with a low receipt from the Federation Account has greatly improved in its IGR of N19 billion compared to FAA of N61 billion representing 32 per cent while Enugu with IGR of N22 billion compared to FAA of N69 billion representing 32 per cent. Kano generated N42 billion compared to FAA of N143 billion representing 30 per cent while Delta State earned N51 billion IGR against FAA of N175 billion representing 29 per cent. The Economic Confidential ASVI further showed that only three states in the entire Northern region have IGR above 20 per cent. They are Kwara, Kano, and Kaduna States. Meanwhile ten states in the South recorded over 20 per cent IGR in 2017. They are Lagos, Ogun, Rivers, Edo, Enugu, Delta, Cross River, Anambra, Oyo and Abia States. Meanwhile, the IGR of the respective states can improve through aggressive diversification of the economy to productive sectors rather than relying on the monthly Federation Account revenues that largely come from the oil sector.